New Year, new you. At least, that’s what we aim for when we make those famous resolutions to live a healthier lifestyle. Make 2017 the year you keep your promise: hit the gym, eat well, and plan your upcoming getaways to one of these top health and wellness hotels that have your physical and mental well-being in mind. This Indian Ocean island nation is the perfect paradise for getting off the grid. 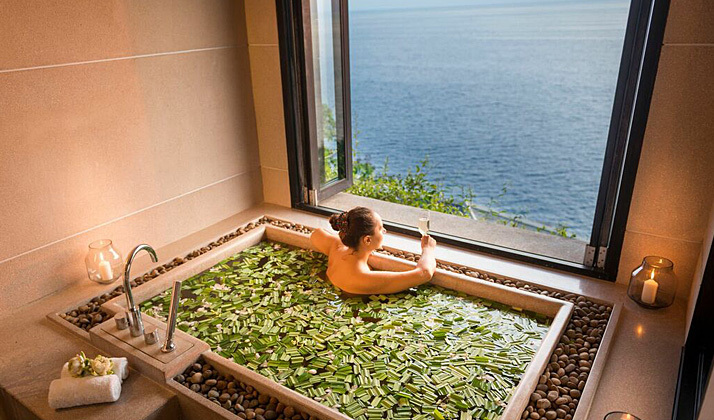 It’s also an ideal spot for a complete rejuvenation. The award-winning One&Only Reethi Rah creates a tranquil retreat set on an island oasis with breathtaking sea views and opulent accommodations – like their over-water villas! The atmosphere will set your mind to utter relaxation, while its activities, spa, and cuisine treat your body to the physical pampering it deserves. Bask in the beauty of the ocean on the resort’s over-water Chi Pavilion that hosts yoga, meditation, Tai Chi, and Pilates sessions. Meet with a personal trainer for a fitness assessment, and enjoy top-of-the-line indoor and outdoor training facilities and equipment. For a complete transformation, book their Jameson Retreat which is designed to cleanse and condition the body. They even have programs for kids that are created to make fitness fun and exciting for little ones, so the entire family can get fit in tropical bliss. With a name like The BodyHoliday, this all-inclusive luxury resort promises the ultimate retreat for your body and mind. Set amidst the lush forests of St. Lucia and beside its sapphire seas, this resort takes the healthy all-inclusive concept to a whole new level, offering fitness programs, healthy cuisine, and one spa treatment a day all included with your stay. Guests are encouraged to participate in as many (or as few) activities as they please, such as group classes like yoga and aerobics, a one-mile Wellfit Trail with workout pit-stops along the way, and personal training sessions. Indulge in savory and fulfilling meals and drinks using fresh ingredients grown in the resort’s own organic garden, and choose from all-natural spa treatments like facials, massages, and body scrubs to unwind after every active day. You can even customize your stay to fit your needs before you arrive using the assistance of a BodyHoliday Specialist. Step a short distance away from the thrilling hustle and bustle of Phuket’s tourist area to find a secret seaside hideaway just waiting to be discovered. Paresa invites guests to Zen out along Thailand’s lush hill-laden coast. Overlook the Andaman Sea while working on your physique at this five-star resort’s modern gym. Pamper your body and spirit with spa treatments that incorporate ingredients from the on-site hydroponic garden and participate in a Buddhist monk-led reiki session. As a truly unique treat, take a dip in Paresa’s crystal energy pool and absorb the healing energies of the rose quartz crystal that hangs in the water. If this seems a little too outlandish, keep in mind that this tradition goes back centuries, and rose quartz has been used across civilizations to clear complexion. Zoetry Resorts combine holistic wellness and their patented all-inclusive Endless Privileges® experience to create a lavish retreat for the mind, body, and soul. While spoiling yourself with Bvlgari® bath amenities, private in suite dining, and daily bottles of sparkling wine, treat your body and mind to gourmet organic cuisine featuring local ingredients, enriching cultural experiences, and healthy wellness activities. 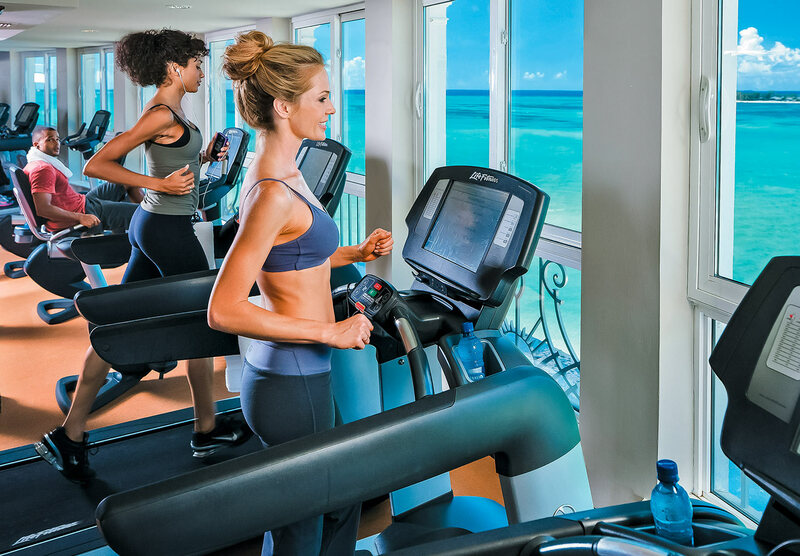 Stay fit in full-service fitness facilities offered in every Zoetry resort in the sun-soaked paradises of Jamaica, Dominican Republic, Aruba, and Mexico. Puerto Rico’s vibrant culture is enough to awaken the excitement in every traveler, but on its offshore island of Vieques lies a resort that aims to energize on a whole new level. The W Retreat & Spa boasts bountiful opportunities for ultimate fitness and well-being. Push yourself in their 2,000-square-foot FIT® Fitness Center at all hours of the day, and get the cardio you crave with advanced machines complete with personal TVs that you can connect to your new complimentary headphones. Enjoy daily yoga classes and as many laps as you can swim in the WET® pool. They even host special fitness events, such as glow-in-the-dark yoga. Be sure to refuel and rehydrate with fresh apples and chilled water as you leave for the beach. Hawaii’s Big Island evokes boundless outdoor adventures with its stunning natural beauty, surrounding seas, mountainous terrain, and the famous Volcanoes National Park. The luxurious Fairmont Orchid Resort wants to keep you in top shape for all your spirited activities with multiple fitness opportunities. 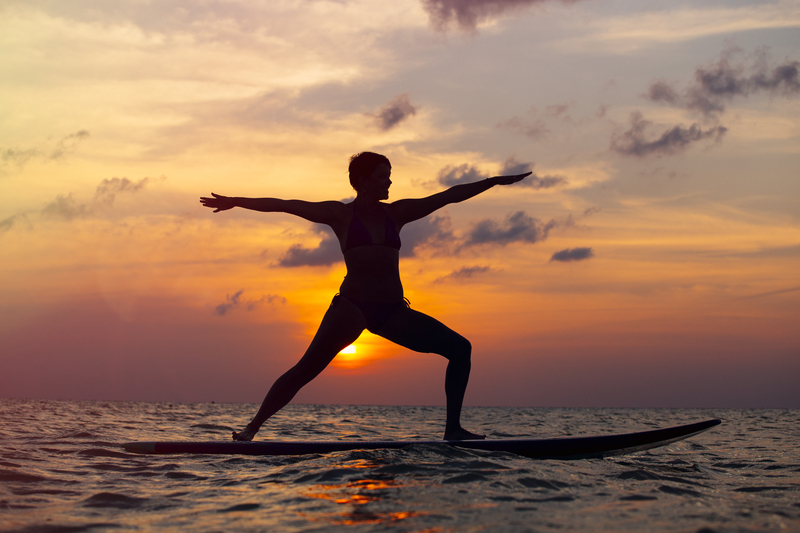 Rise and shine for seaside yoga on the beach, or work on your core strength with Flo-Yo, yoga practiced while floating on paddle boards that is becoming all the rage for dedicated yogis. Get out and soak in the Hawaiian sun on daily hikes that focus on the island state’s unique culture, history, and ecosystem. Members of the Fairmont President’s Club needn’t worry about packing their fitness gear – Fairmont will deliver Reebok workout apparel, footwear, yoga mats, and stretch bands right to your room upon request, leaving more space in your suitcase for souvenirs. When it comes to all-star all-inclusive getaways, couples-only Sandals Resorts takes the gold. With 15 opulently romantic resorts across six Caribbean islands, guests can expect to be pampered by lavish accommodations with some suites boasting professional butler service and private plunge pools, and with limitless premium drinks and infinite gourmet food. If all this over indulgence has you worried about your waistline, then you’re in luck. Sandals also offers an almost endless supply of complimentary land and water activities. Besides top-of-the-line Red Lane fitness centers, guests can switch up their active routine with sports like beach volleyball, tennis, and rock wall climbing, and water-loving favorites such as snorkeling and scuba diving, kayaking, and standup paddle boarding. You won’t need to compromise your new lifestyle for incredible getaways this year. Contact your local travel agent today and keep your New Year’s resolution with a stay at any of these amazing health and wellness resorts.